Iceland may be known to you and me as the land of fire and ice but I've found in my first week of cycling here that the dominant element is water. Rain fell in deluges in the first few days as I cycled across lceland's highlands, an empty and barren desert plateau of old volcanoes and lava rocks. 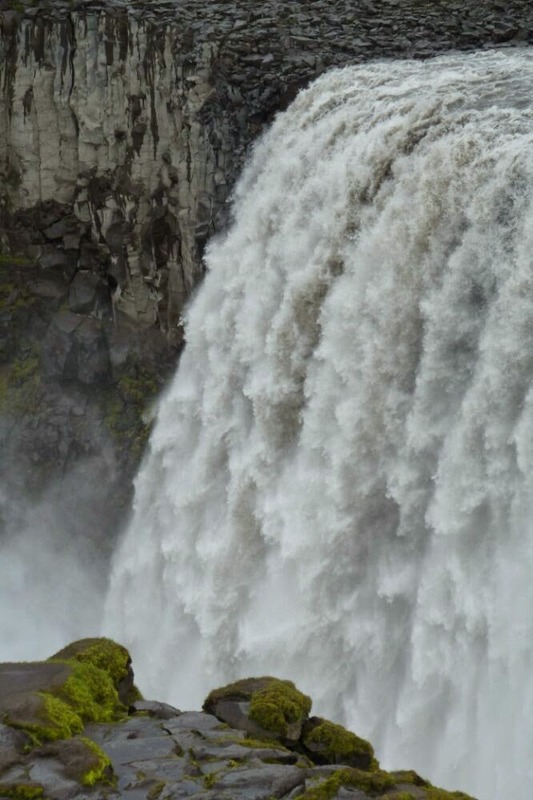 There was nothing out here to interrupt the nothingness except the spectacular waterfalls of Dettifoss, a deafening wall of water that over the millenia has cut a huge, gaping canyon in the landscape. The sheer cliffs gave me vertigo. The cycling was hard with long, boring sections and nothing to see in the rain. Over time, the rain forced a way through my waterproofs like Dettifoss forced a way through the rock, and I was wet and cold. 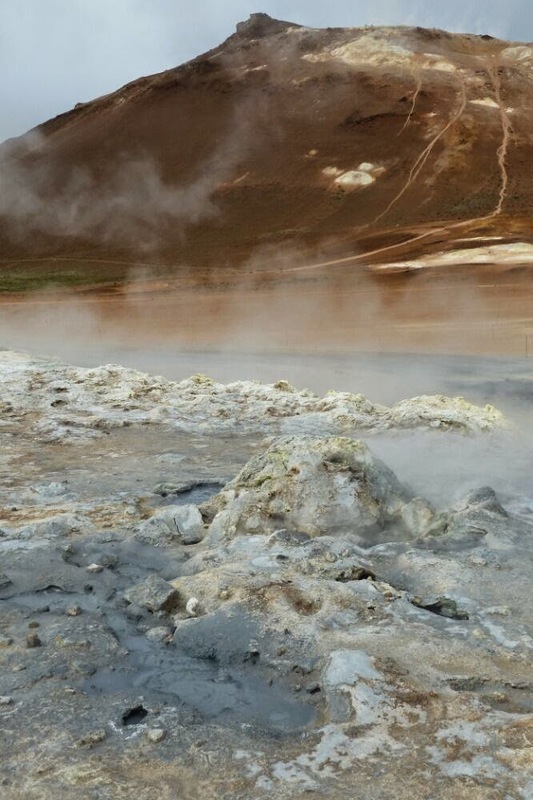 It was lucky then that fire followed the water as I crossed by Krafla, one of Iceland's recently active volcanoes and cycled over the Namafjall Ridge, a violent geothermal area that belches out steam and boiling mud and sulphurous gases. Iceland sits right on the Mid Atlantic Rift and temperatures below ground here reach 200 degrees. All this hot action is tearing Iceland apart by 2cm every year. Beyond here water takes over again in the form of the tranquil waters of Lake Myva, a large shallow lake formed by a lava eruption thousands of years ago. One of the first things I've noticed about Iceland is the abundance of birds in the countryside wherever there's water. Waders wade around in the wet areas beside my road or fly along ahead of me, skeins of noisy geese pass overhead and the familiar whooper swans that spend their winters in Scotland mingle with sheep in the greener places that form their summer breeding grounds. 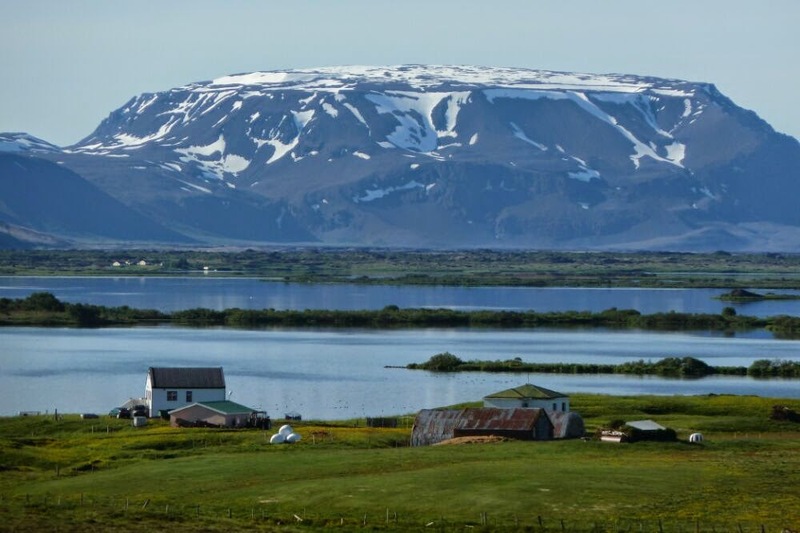 But Myva is the jewel in the crown of Iceland's birdlife where they all gather for rich feeding in a place whose surrounding volcanoes and lava fields lend a primeval, other-worldly feel. Man has made a temporary impact here with small hamlets around the lake and a few roads but when you stand on a high point and take it all in, you have the feeling that the forces of nature are very much in control. Myva is a beautiful place with an elemental atmosphere. l cycled away from Myva under a hot sun and over a high mountain road where gravel took over from asphalt and lupins formed a carpet of purple that stretched to snow-streaked mountains. 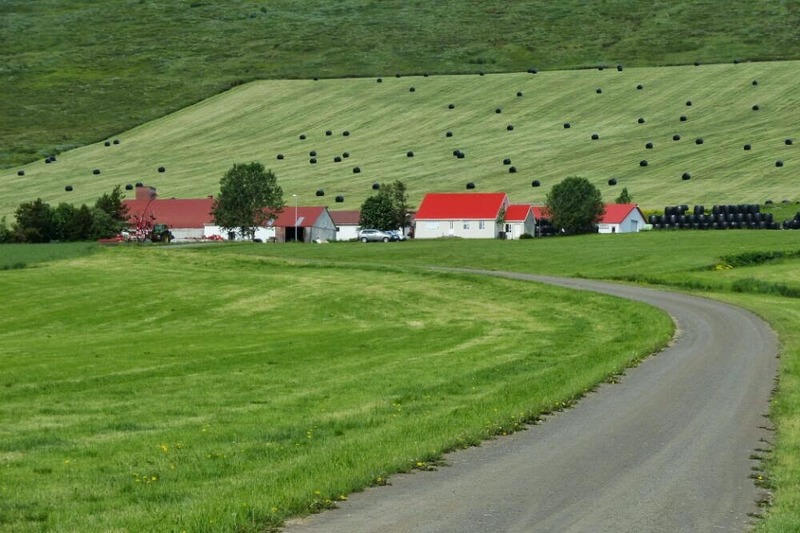 On the other side the road descended into a different landscape of green fields and farms as I dropped down to Iceland's verdant north coast. 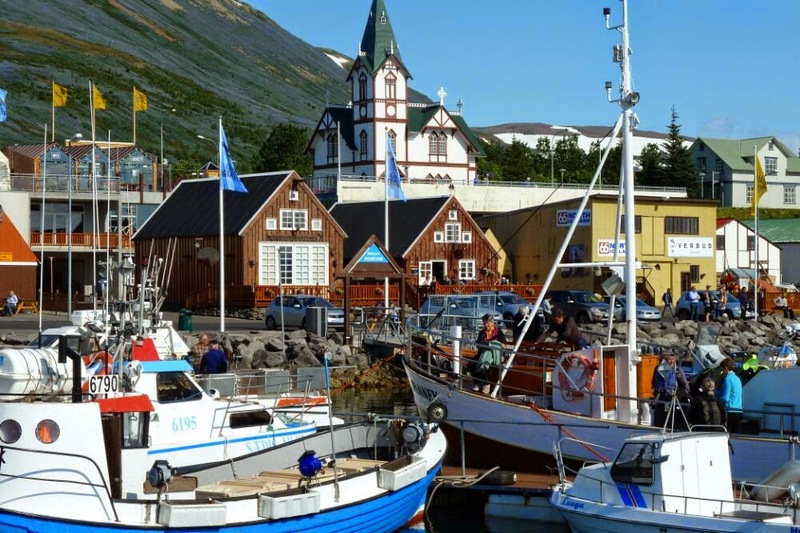 I cycled on to Husavik, the old whaling town. It's a lively, colourful place set around the busy little harbour with the old church watching over everything. These days the only whaling that's done out of Husavik is whale watching and I joined a group to take to the water on an old oak boat with the unfortunate name of Fanney. The boat may have been unlucky in its name but it was very lucky in finding whales and I had some unforgettable close encounters with humpback whales on an evening when the water seemed full of them. A couple of times they breached so close to the boat that you could see the details of their fluke patterns while the spray from their blowholes drifted over the deck. Further along the coast from the whales is this pleasant town, Akureyri, which sounds to me like it belongs in New Zealand. It's a sporty wee place with an outdoors vibe set amongst snow-covered mountains at the head of the long fjord, Eyjafjordur. From here I'm cycling further west to an area appropriately named the Westfjords where the land is cut into long fingers that wiggle north and west by that dominating element, water. 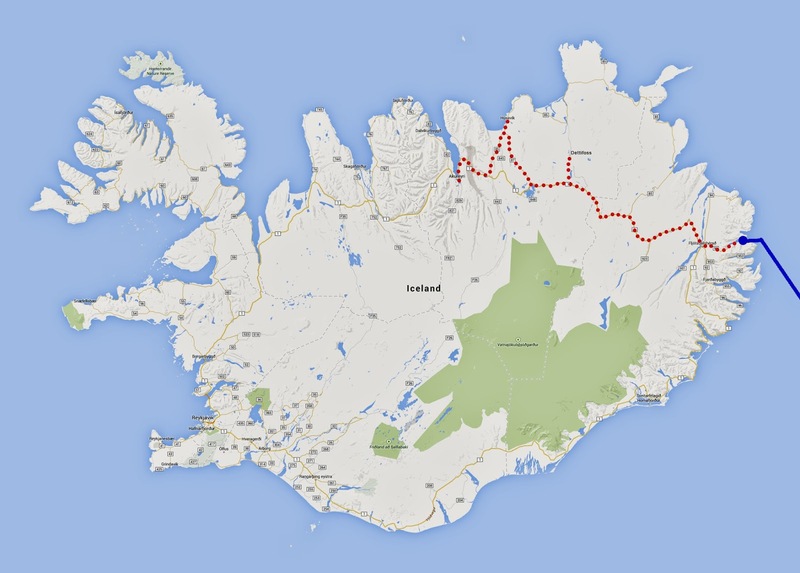 Route - have so far followed highway 1, the Iceland ring road, which is not actually very busy and have taken detours on back roads with some gravel sections to Dettifoss and Husavik. Mostly using campsites at the moment as they are plentiful and cheap, and it's tricky to wild camp in this area. Technically only a tiny part of Iceland, Grimsey Island, is within the Arctic Circle and experiences midnight sun but in reality here at the moment there is all-day light. Thank you for coming along for the ride. I'm an outdoors fanatic trapped in an office worker's body. I love nature, the wild elements and travel. 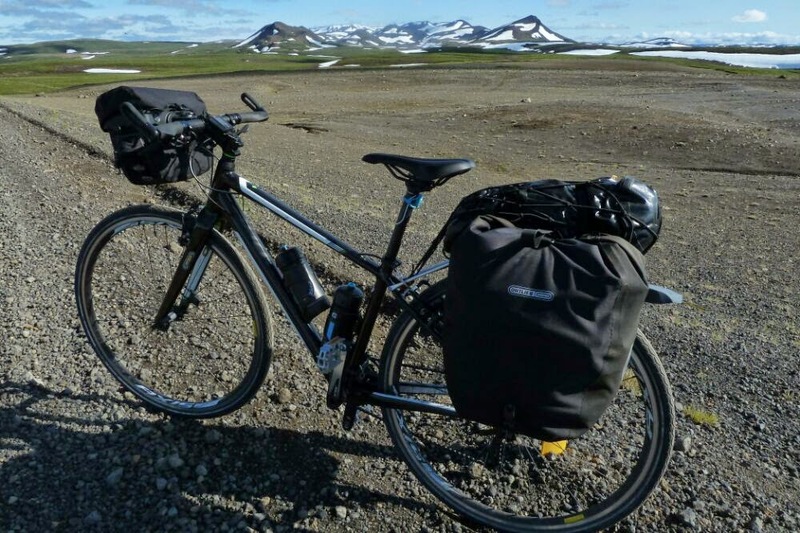 In recent years I've completed a two-year world bicycle trip and a cycle tour round the northern reaches of Europe, including a late winter at the North Cape. As I've never owned a car, my outdoor adventures are mostly accessed by alternative means and I escape there at every opportunity.